I’ve just returned from a 10-day Best of Hawaii with Trafalgar tour, and I am ready to go back again! As a gift to my parents for their 61st wedding anniversary, I took them on the tour to hopefully experience a vacation of a lifetime. I did have concerns regarding whether or not at ages 84 and 78, they would be able to keep up the pace, but they had no problems at all. Later starts, ample free time, and a very accommodating travel director made this “At Leisure” styled tour quite nice for everyone. The tour offered a variety of diverse experiences. 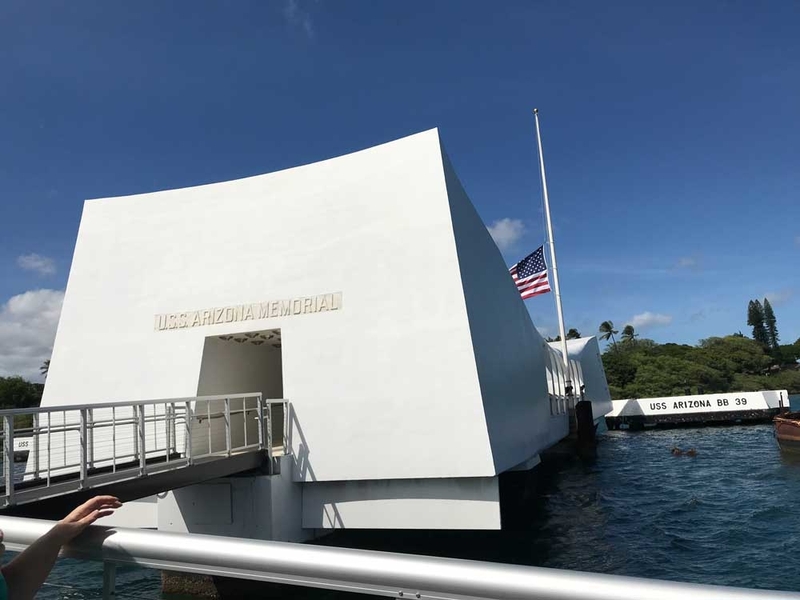 On Oahu, we had the moving experience of visiting Pearl Harbor. While on Maui, we ate a freshly picked and prepared lunch on a farm. On the Big Island, we enjoyed fabulous vistas and great shopping from local artisans, with time to relax and gear up for our next adventure. 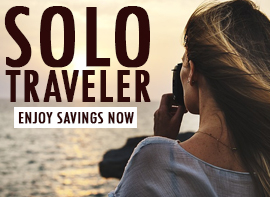 Related: We Have The Lowest Prices On Hawaii Trafalgar Tours! Throughout the tour, we rode in a comfortable motor coach (equipped with WiFi) along the coasts of the three islands and took short walks through city areas, parks, and a rain forest. We learned about the history and culture of Hawaii and enjoyed warm hospitality everywhere we went. 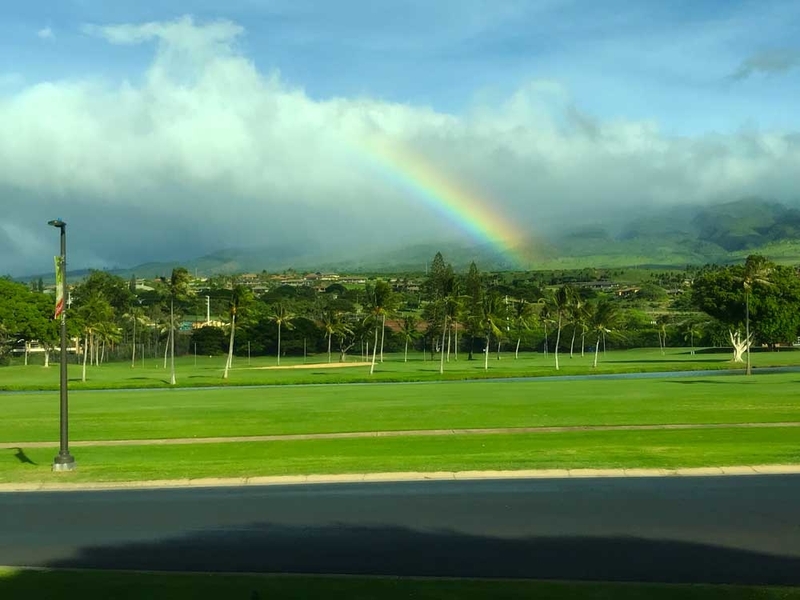 Although most of our days were spent on Oahu, we had several memorable moments on our short stay on Maui. 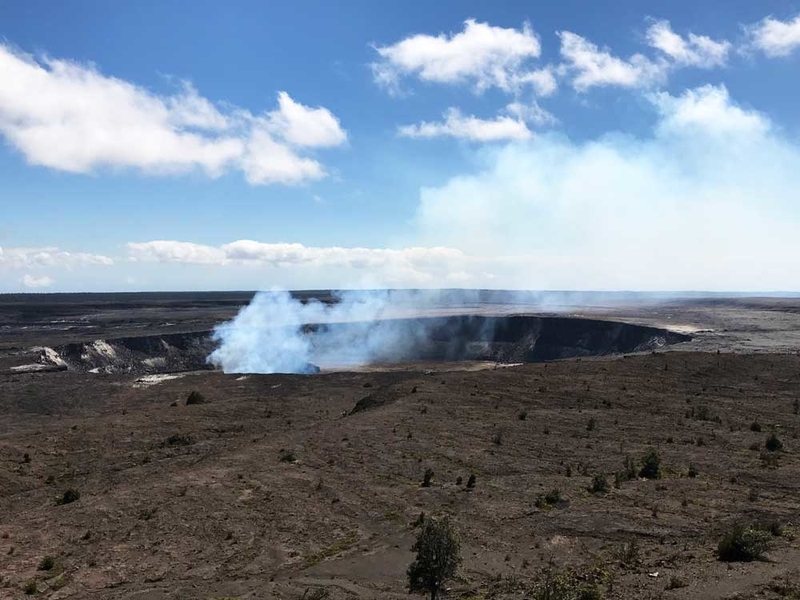 There, we had lunch on the rim of a volcano, just yards away from Halema’uma’u Crater, which still smokes from a “lake of lava” burning below. 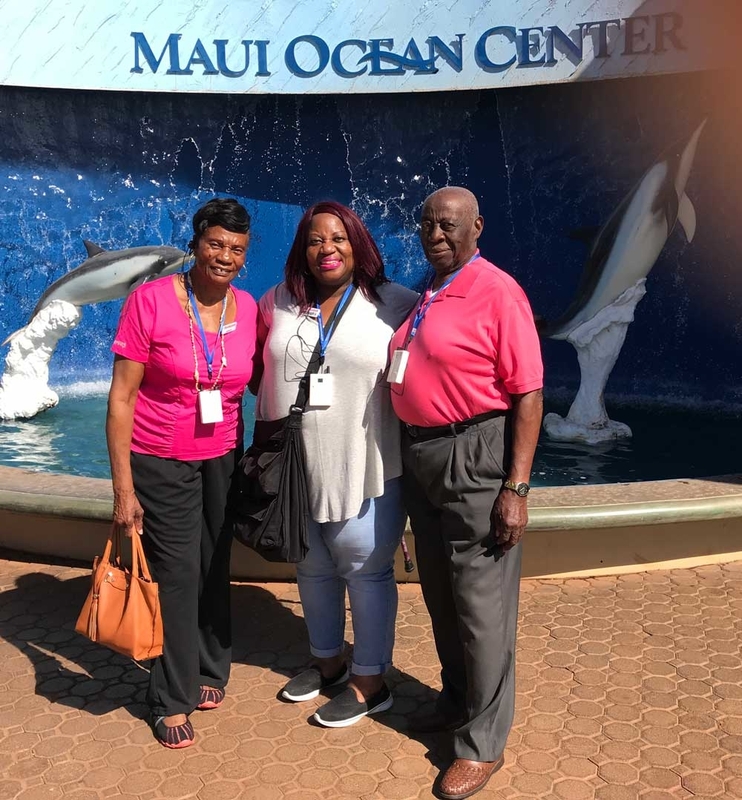 Another highlight was visiting the Maui Ocean Center, which is a thoughtfully designed aquarium that seeks to protect and advocate for Hawaii’s marine life, not simply make a display of it. 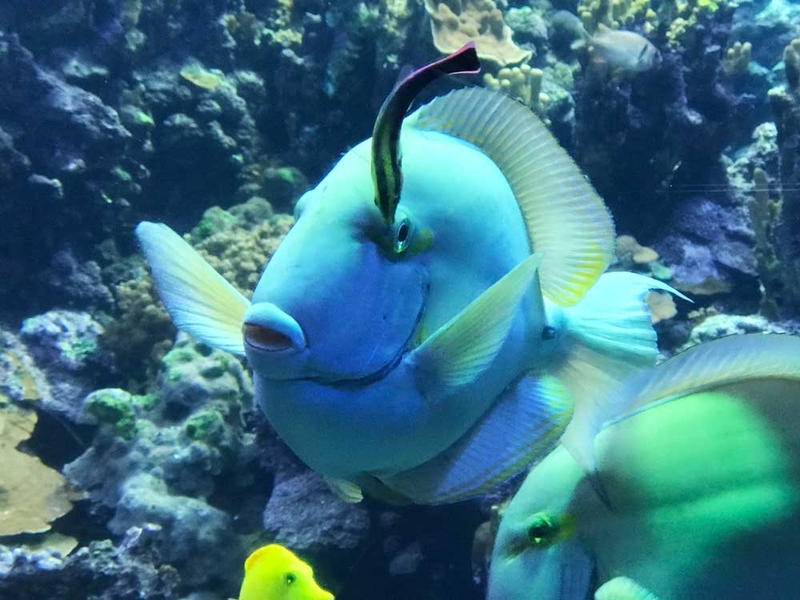 The aquarium even employs a Hawaiian Cultural Advisor, whose job is to ensure the aquarium’s practices align with what is considered culturally acceptable. 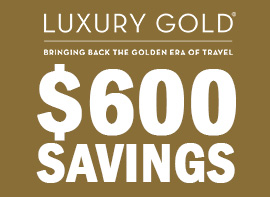 Related: Spend Your Next Vacation In The Beautiful Hawaii With Trafalgar. 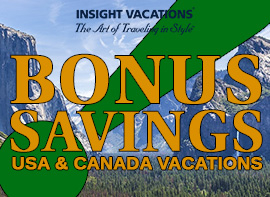 Click To See Itineraries! 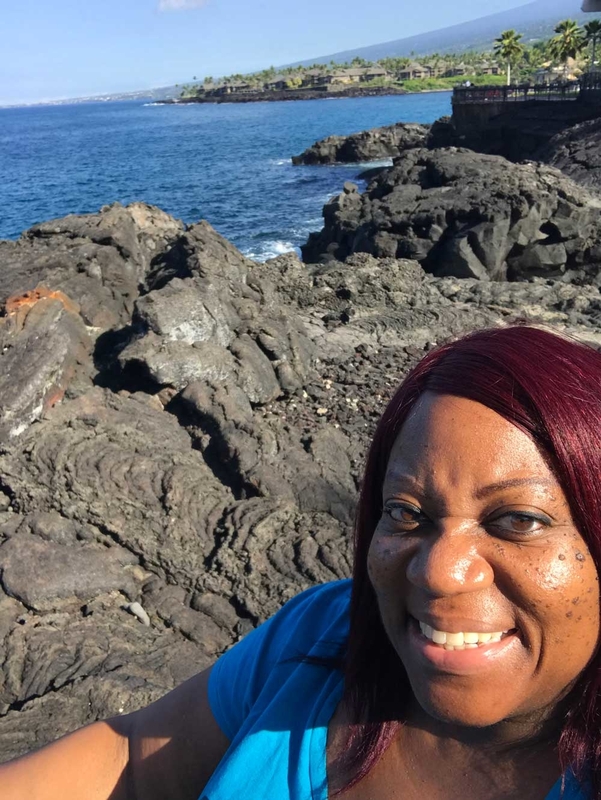 It was truly amazing to see the many colors, shapes, and sizes of marine life endemic to Hawaii, as well as those found in other parts of the world. Additionally, it was reassuring to know the aquarium has a protocol in place for releasing some of the creatures safely back into the wild to maintain a healthy balance within the facility. Trafalgar did an excellent job of presenting Oahu, The Big Island, and Maui on this tour. Despite the potential for inconvenience, with two internal flights, three hotel check-ins/outs, several motor coach rides and coordinating 40+ travelers, everything went off without a hitch. 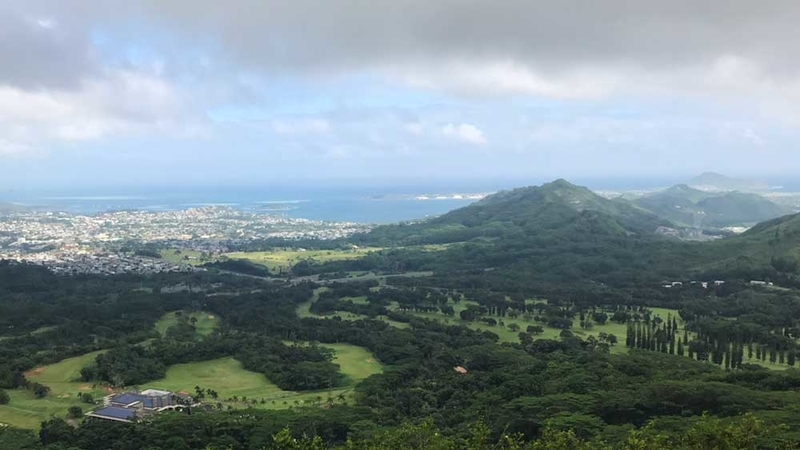 I would recommend Best of Hawaii with Trafalgar for anyone who loves natural beauty, history, and exploration at a leisurely pace.